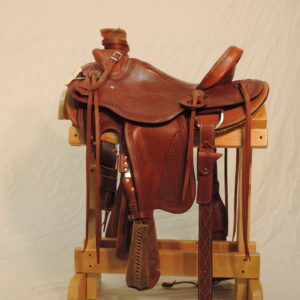 Light oil, Top Grain, Straight up cantle with oval basket stamp tooling. 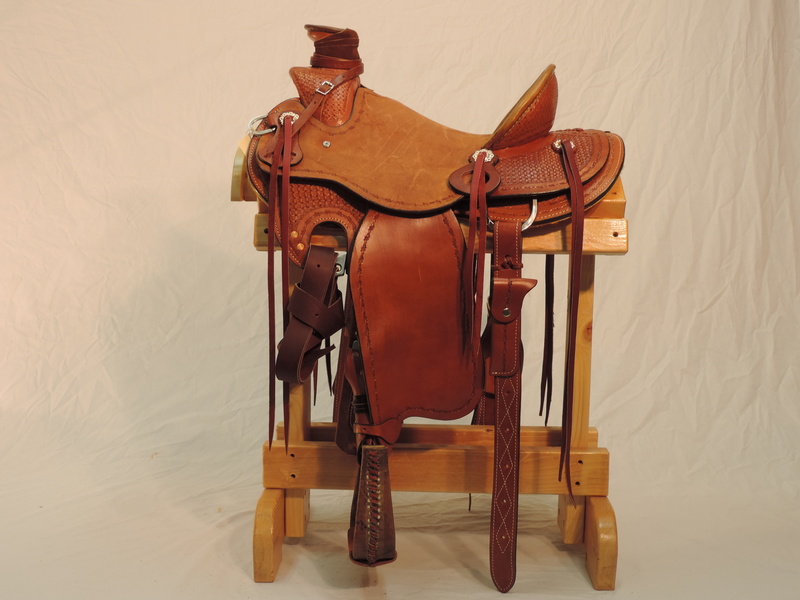 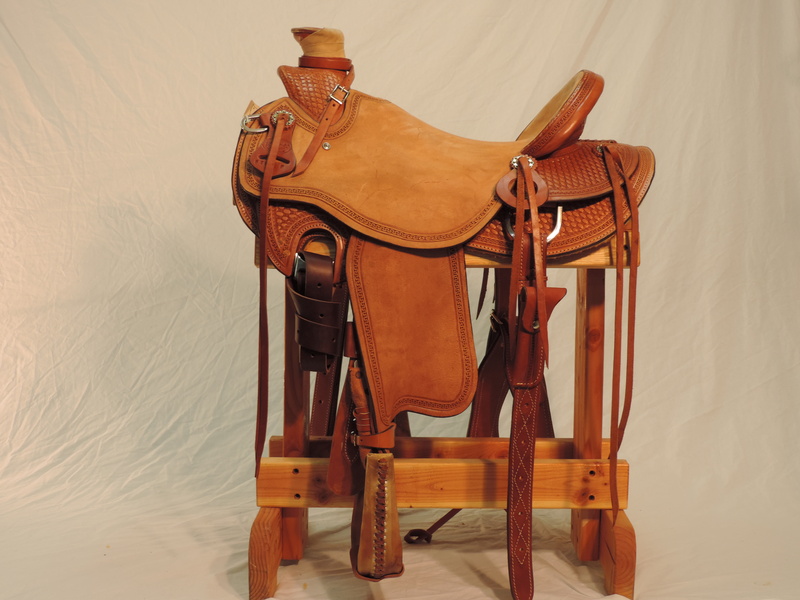 All Vickers Classic saddles have bull hide trees with a 5 year warranty. 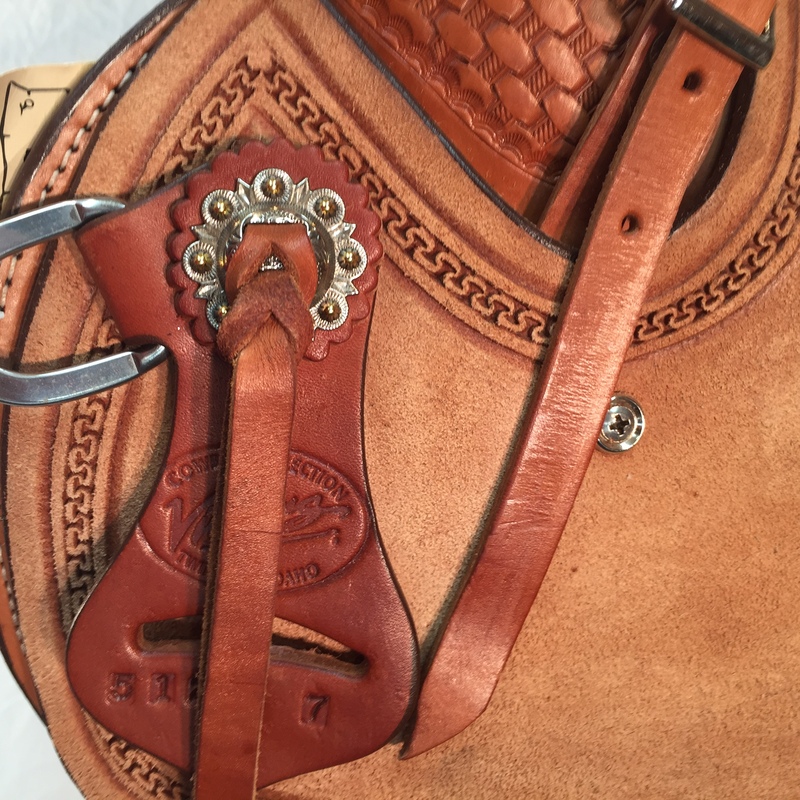 They come with rawhide stirrups or 5 1/2″ leather lined aluminum stirrups for an additional $60.00 with a trade of the rawhide stirrups. 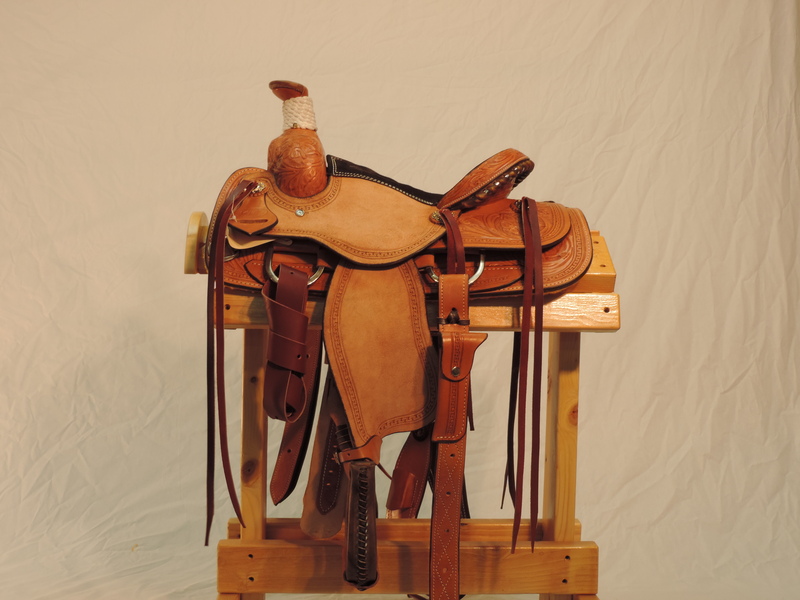 They come with a 7/8 rig or a 7/8 drop rig. 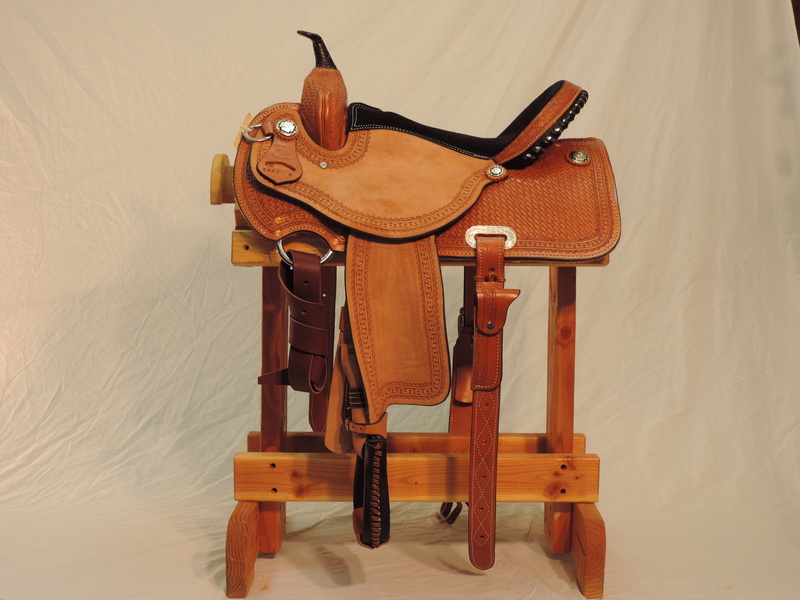 ALL saddle upgrades include twist and wrap stirrup leathers, wrapped horn, rope strap, hobble holder, hoof pick holder, and breast collar D’s up where they should be. 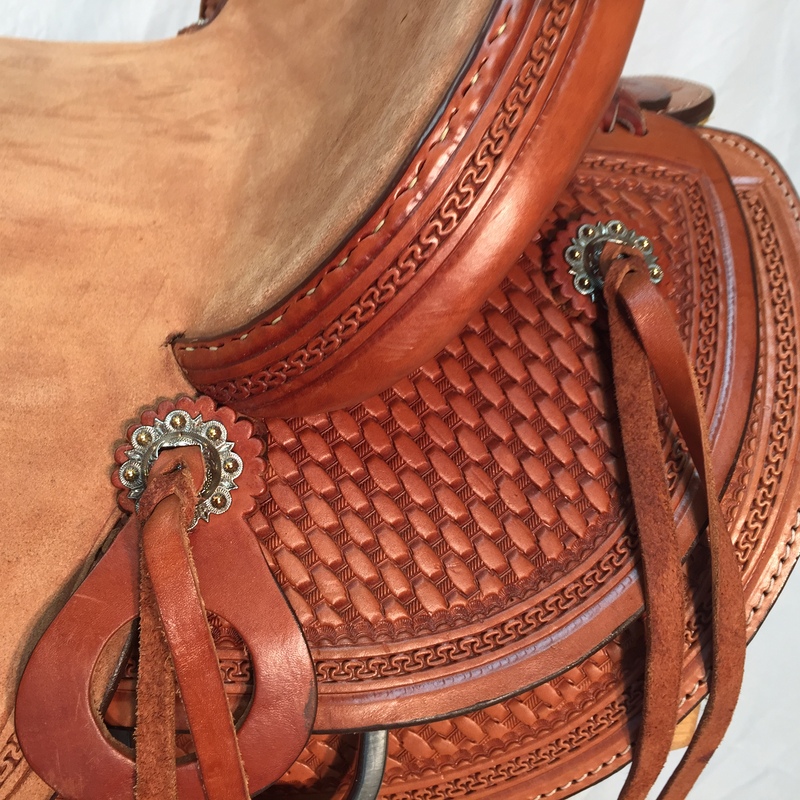 There are too many good things to list about these saddles so if you have any more questions please feel free to call us!